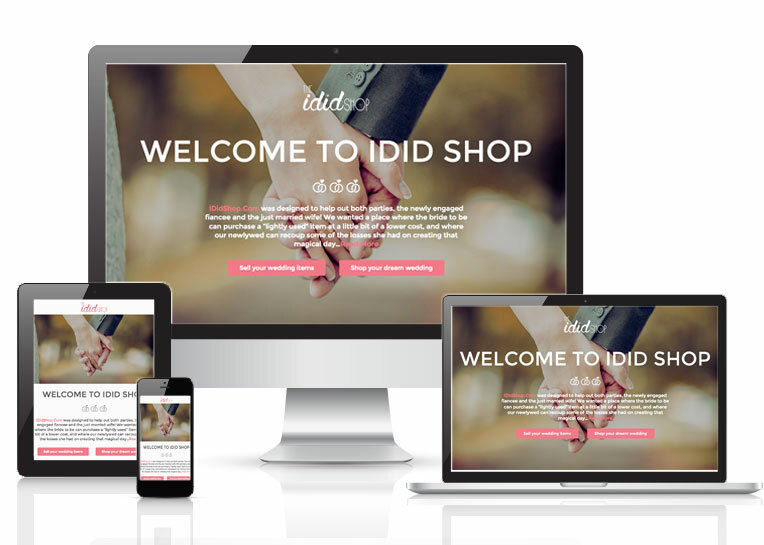 IDidShop.Com – a used wedding items store – was designed to help out both parties, the newly engaged fiancee and the just married wife! They wanted a place where the bride to be can purchase a “lightly used” item at a little bit of a lower cost, and where our newlywed can recoup some of the losses she had on creating that magical day. Online Presence Builders was able to create a professional website design, and secure E-commerce site development. From initial conception to final delivery, we will analyze, develop and build your web presence the right way. We have a full selection of online marketing and optimization services to grow your online business. Contact us to get your online presence built today.